Which aspect of the work in Kenya did you help with and what did this involve? Regular meetings with the core group over the course of the year. Researching Early Childhood education in Kenya. Talking to other teachers who have done similar projects to get a sense of what was useful, effective, etc. Collecting school resources through organising collections, and school fundraising events. Promoting the project through Twitter and Facebook. Skype calls with HOPE Kenya to find out what would be possible/beneficial/useful. Putting together Education Programme overview. Working with other teachers on the project to put together training packs, deliver training sessions for local community teachers on Early learning and development (24 community teachers) and delivering lessons/working with local teachers at local school (Baptist Primary School). Collecting feedback from those who took part in sessions. I needed a ‘shake up’ in my spiritual life. I felt I had become too comfortable, and needed to do something which would allow me to reconnect to the power of God and the Holy Spirit. At the time, the project was sill in talks, so didn’t know what to expect. I had gone to India over 10 years ago on HOPE Youth Corps and was really convicted by the poverty I saw… and how joyful, hospitable and content people were. I felt like my convictions were fading as it had been such a long time since I had been around any extreme poverty, even though there are definitely needs here in the UK. I had been talking about wanting to go somewhere and do something – so when the opportunity came to help those who are in need, I thought it would be a good idea. What were you most impacted by when you were there? As a school teacher going back to work was incredibly hard and emotional actually – it took a while to settle back in… the extreme contrast in the health of the children, the learning environment, the amount of resources available, clothing… it really highlighted for me what poverty really looks like, and made me realize that I actually do not have a clue about how people and children are living around the world. I shared at church a few weeks ago that I would have said that we were under resourced at work before going to Kenya. But when I came back, I felt overwhelmed by the amount of teaching resources we have. I saw young children playing alone in mud, in dirty water putting contaminated objects into their mouths… we were very close to sewage. Many, many children walking through the slum with no shoes, or shoes miles to big. Very, very little resources available in the schools. Ripped and dirty text books and curriculum books wasting away on shelves. Very convicting as I’ve seen perfectly good books being thrown away at work because they are no longer used. I could say more…. What difference do you feel the team made to the lives of the Kenyans you met? From an education programme perspective, we got very positive feedback in that the teachers felt that they had some new teaching strategies and ideas that they could use with their children, even with very little resources. There were teachers who were able to receive resources that they could use with their children to enhance their teaching. The children we were able to work with loved taking part in the school sessions, though with some of the resources and sessions were tentative at the beginning as it was a very different way of working for them. After working with a year 2 class, the children were able take their finished art work home, and the teacher told me they were excited to take their work home and show their parents. In the grand scheme of things, I suppose the impact was small but incredibly significant. They have probably had a bigger difference on our lives. 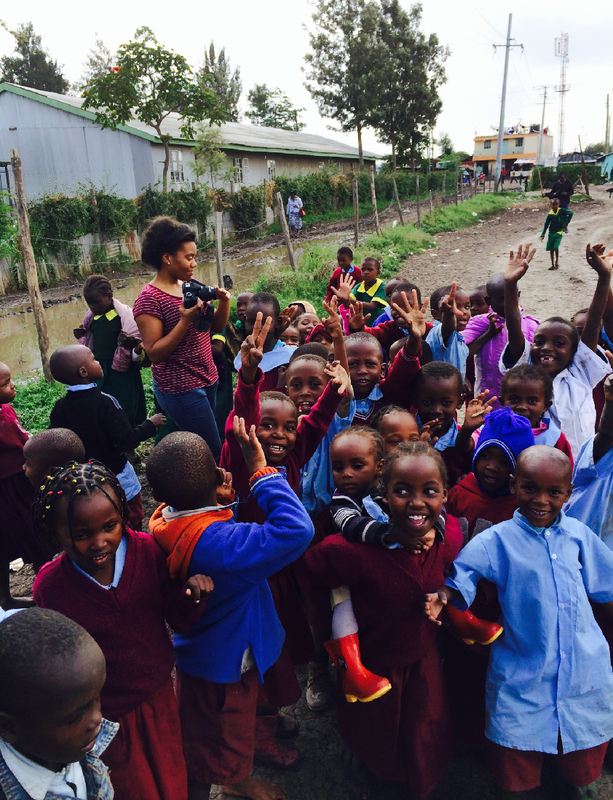 Why would you encourage other people to volunteer with The Kenya Project in the future? Volunteering on the Kenya Project definitely changed my perspective on life; on what is important, on where I stand before God, on how God feels when I don’t have a heart for the poor… the experience is continuing to soften my heart as what I saw and experienced continues to sink in. There is still a lot more to be done! I think the Kenya project is special in that it allows for people to use their knowledge and skills within each programme flexibly… for these reasons I would encourage others to volunteer…. I have more reasons but can’t think right now…. This entry was posted in International, Uncategorized and tagged HOPE worldwide Kenya, The Kenya Project. Bookmark the permalink.